Similarly, if I I told you to read 'The Communist Manifesto' because that book has 'done me a lot of good', you might just think I was, in fact, a communist or some kind of Marxist. You might think these are terrible comparisons but, in both of these cases, if I do not follow this 'recommendation' of toxic books with some kind of caveat by way of saying, '...because I realised just how erroneous and mistaken the author was/is,' then you can pretty much guarantee that I agree with the contents. The loyal Faithful, that is, those loyal to the Lord Jesus Christ and to His Vicar on Earth, have gathered over half a million signatures to Pope Francis to 'clarify', to make plain His Holiness's position on such matters as divorce, remarriage and the reception of Holy Communion, as well as the other 'thorny' issues to be debated in a spirit of parrhesia at the Synod in October. As time goes by, and as we approach with not a small degree of trepidation the great 'debate' within the Church in October, are Catholics to pretend to ourselves and, in defiance of the known reality, to others, that the Pope is somehow secretly against the position of Cardinal Kasper and on the side of the Magisterium of the Holy Catholic Church as well as that of his venerable predecessors, despite no such clarification being forthcoming? Are we to assume this in good - or rather blind faith - when instead of the clarification sought by the deeply confused Catholics in question, such recent unhelpful and utterly confusing teachings, such as 'the divorced and remarried are not excommunicated' appear to nudge the Church a little further towards an endorsement of the Kasper proposal? I would have thought that even if the divorced and remarried are not formally, canonically, publicly 'excommunicated', some kind of term such as 'excommunicated' might just be applicable - in some manner - to those who, because of an irregular marital situation that involves the sin of sustained and continuing adultery, can neither receive Absolution, nor receive Our Blessed Lord in the Most Holy Sacrament of the Altar, and as such are unable to communicate. To loyal Catholics, Pope Francis has, consistently behaved like a fiance who can't quite bring himself to tell his bride to be that he doesn't love her, doesn't like her, never really did, but keeps dropping huge hints every week that he has no intention of marrying her whatsoever. Pray for His Holiness, but accept it. He's just not into you and your beliefs. He's into something else entirely. That doesn't mean we stop praying for him or loving him as Our Lord has taught us. Of course, if Pope Francis caps off a glorious Synod by donning the Tiara and publicly excommunicating all those who argued against the Infallible Teaching of Christ and His Bride, the Church, I apologise profusely in advance and take most of it all back, but I cannot be blamed for thinking - nor for being honest and saying - that in a little over two years, Pope Francis has, with a little help from his friends, taken the Church to the precipice and looks not a little bit afraid of the craggy rocks and rushing waters below. Given his public statements and his refusal to unendorse Cardinal Kasper and his proposal, we should by now be no longer at all surprised if he takes the Church over the edge. Unless something completely unexpected occurs, we can be forgiven for thinking quite sensibly that not clarifying, nor ceasing to promote Cardinal Kasper's agenda within the Church is, in fact, a clarification. It's just not the clarification you were looking for. Our survey found that out of 219 Cardinals in all the world, only one believed that Pope St Pius X would recommd Kapsper's book entitled, 'Mercy'. The name of that Cardinal was Cardinal Wal...Oh, sorry, that information is confidential! A demoralised clergy, laity and more than a handful of Bishops and Cardinals still hope - against all the evidence - that the Pope is going to protect the Deposit of Faith and teach that saving Faith at the Synod when for two years he has not done so through public statements, interviews, appointments, and by organising and overseeing this farcical Synod showdown in the first place, a showdown that weakens the Pope's most loyal natural supporters and strengthens those who seek the end of the Catholic Church as founded by Christ. For if Cardinal Kasper and his friends get their way, the Church will not be One, but many national Churches, it will not be Holy, but will endorse sacrilege and all that is unholy, nor will it be Catholic. Will it, in the prospect of such a radical reversal of the Church's understanding of Herself, in such circumstances, be Apostolic? Would it not rather be anti-Apostolic? 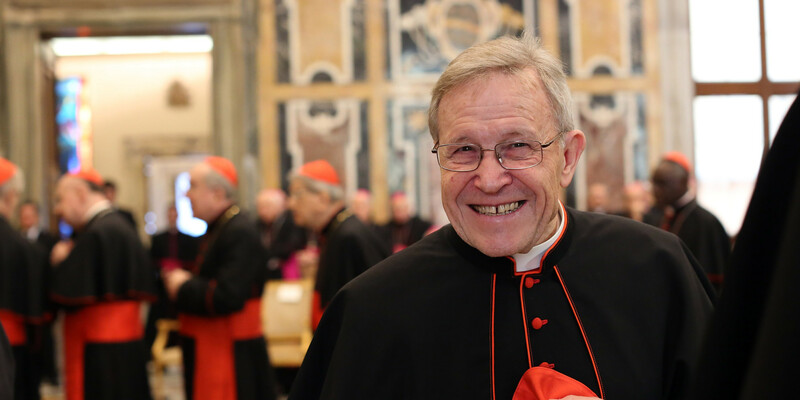 We have to accept that, somehow, since the abdication of Pope Benedict XVI, the Good News of Jesus Christ has become bad news and the bad news of Cardinal Walter Kasper has become good news. What that means for Catholics who cling to Jesus Christ and His Teachings in the midst of this madness I have no idea, but it is now far more unthinkable that Pope Francis will publicly and forcefully reject Cardinal Kasper's proposal than it is that he will, in some manner, legislate it into the life of the Church. The last two years have shown us that if - and it remains a big 'if' - Pope Francis throws the Kasper doctrine into the blazing fire at the end of the Synod it will be in spite of, not because of, Pope Francis's best efforts. Great post. It's interesting to rediscover all the signs from the very first part of his Pontificate that many people either missed or made excuses for. Of course it matters what lens you're looking through. For example, I think Pope Benedict said some nice things about his peer Hans Kung. But in those cases, he would have been doing it just to be polite and charitable. It would have had no other meaning. I assume this is how some greeted the earlier worrisome things that Pope Francis said and did. Not overly confident that a million petitions would sway the apparent agenda. But we shall see what God will do. Excellent post, on a very unhappy situation. Voice of the Family for 21 Aug has a post regarding the Swiss Church sending LGBT activists to Africa to try to persuade Catholics there to side with them. The situation just keeps worsening. Prayer and fasting may be our only recourse by now. But some vocal protests and powerful bloggers such as you will help cheer the loyal Faithful. God bless you in this tiresome task! I agree with your perceptions and sentiments entirely, Bones. The day will come when the defenders of the True Faith will be arrested and hauled before the courts (or courts of public opinion)simply because they openly proclaim or practice the Faith and Peter will say to the court "I do not know the man." "People had a way of hearing what they wanted in Mr. Obama’s words. Earlier, after a long, tortured discussion about whether it was better to be called “black” or “African-American,” Mr. Obama dismissed the question, saying semantics did not matter as much as real-life issues, recalled Cassandra Butts, still a close friend. According to Mr. Ogletree, students on each side of the debate thought he was endorsing their side. “Everyone was nodding, Oh, he agrees with me,” he said." This is what witnessing for the Truth means for those prepared to stand-up for Christ. It does not seem to be a recipe for theological consensus building. Very very good, I congratulate you, Mr.Bones, just one thing, it wasn't Card. Ratzinger, it was Herr Professor Ratzinger, the words about the little church were written in 1958, the book's title The heathens' church. In spe salvi facti sumus. Well we are called to have faith, particularly when it is not easy to believe and trust Our Lord. No pope can possibly lead the Church to oblivion. So there is hope. Dear Bones, you put forth the dichotomy rather well - 'the position of Cardinal Kasper' (=centuries of Rabbinical, Moslem and Protestant 'friction') against 'the Magisterium of the Holy Catholic Church'. There are many many folks who know the difference, but blimmin' few willing to tell the truth concerning it. 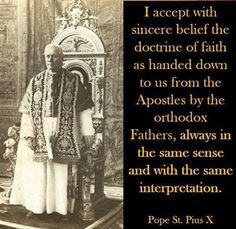 Several popes already have by promulgating the Novus Ordo, religious liberty and false ecumenism. This will just be one more step. Syncretism is the name of the game. He's endorsing another book now---apparently the Italian equivalent of Heather Has Two Mommies. Even if someday our prayers were answered and Pope Francis converted to the traditional Catholic faith, he would still have to resign. If there's not to be a trial for heresy, then we at least need a vote of no confidence. I personally will not feel things are great even if he opposes Cardinal Kasper in the end. Too much damage has been done.